CoBank has shown consistently strong financial growth in recent years. In its 2015 annual report, the bank reported net income of $937 million, an increase of 4 percent from the $904 million it reported in 2014. As a result, 2015 marked the bank’s 16th consecutive year of growth in profitability, an accomplishment unlikely matched by any other financial institution in the world. The growth has been strong along all major financial measures and across all of the bank’s business lines. CoBank’s average loan volume has increased from just over $50 billion in 2011 to $83 billion in 2015. Over that same time frame, the bank’s net income grew from $707 million to $937 million. As a result of all that growth, the bank will distribute a record $514.1 million in total patronage – over half of the bank’s earnings for the year – to its customer-owners for 2015. For most customers, that will represent 100 basis points of their average qualifying loan volume during the past year. Over the past ten years, CoBank has distributed $3.5 billion in patronage to its customers across rural America. 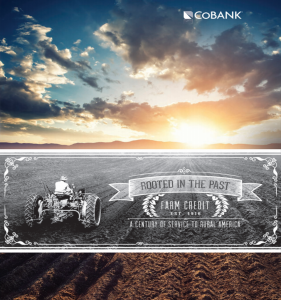 Click here to read CoBank’s 2015 Annual Report.